In Christopher Columbus’ own words, “the fairest isle mine eyes ever beheld”. An island to the South of Cuba literally bear-hugged by the Caribbean Sea, Jamaica is renowned for its easy going population and way of life. Jamaica is a small island that has seen the influx of settlers from all over the world each carrying their own story and traditions. Centuries of amalgamations and blending have contributed towards the versatile medley of cultures and customs that now make up the country’s rich history and heritage. All this, against the natural mountain and valley backdrop that Jamaica can truly call its very own. 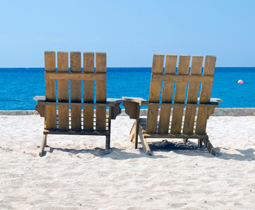 Wondering what you can do once you land in Jamaica? Anything. Discover how centuries of colonisations have influenced a nation to transform itself into the dynamically diversified and modern destination it is today. Enjoy a relaxing time at Montego Bay with its bustle of shops, restaurants and clubs, golf courses and lavish resorts surrounded by a naturally beautiful milieu. Visit Negril, known as the “Capital of Casual” – a favourite location with families and honeymooners for its charming coast, busy beaches and active nightlife. 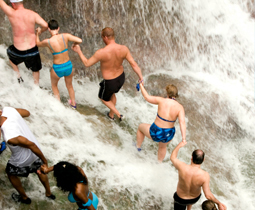 Drink in the naturally inspiring beauty of the waterfalls and rivers of Ocho Rios – “the Centrepiece of Jamaica”. Stray “Off the Beaten Paths” to unearth hidden treasures around the South Coast spurred by natives eager to share their culture and traditions with all guests. This is the well-known “Land of Wood and Water”.